This recipe comes from the ‘Beef it’s What’s For Dinner: Thirty Meals in 30 Minutes’ recipe book. I’m a big fan of cute appetizers but I always find that when it comes time to host a party I don’t want to try anything new just in case it doesn’t turn out. Because of that, every so often, I made little appetizer sized lunches to try out new things. 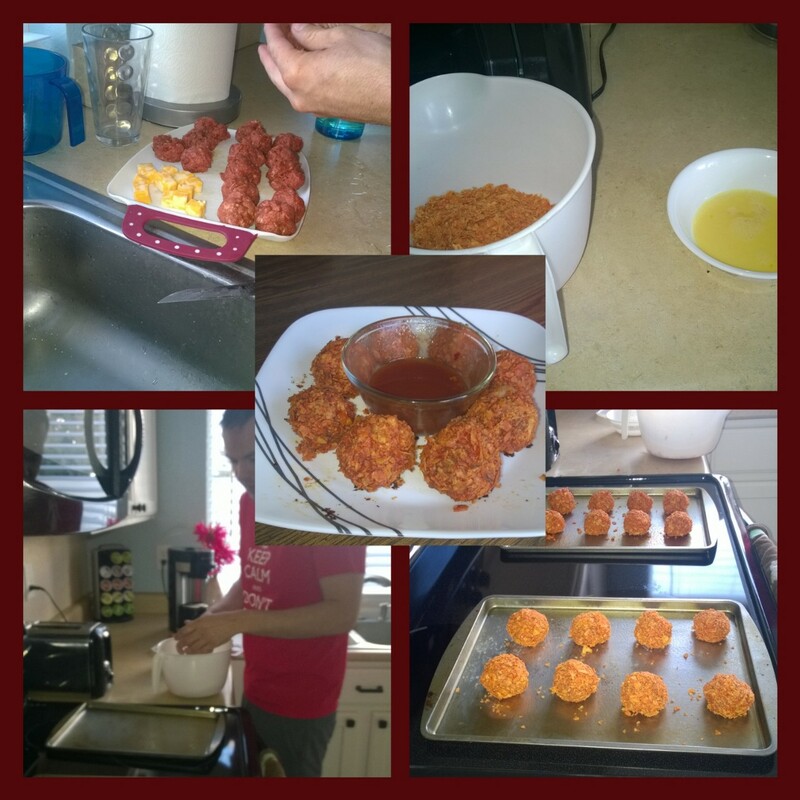 This has been one of my favorite recipes because it’s so easy and tastes delicious. Divide the mixture into 16 portions and set aside. Dip the meatball into the egg and fully coat then press the meatball into the chips (I used Spicy Nacho Doritos). Combine the sauce ingredients into a bowl for serving. Other great ground beef recipes! 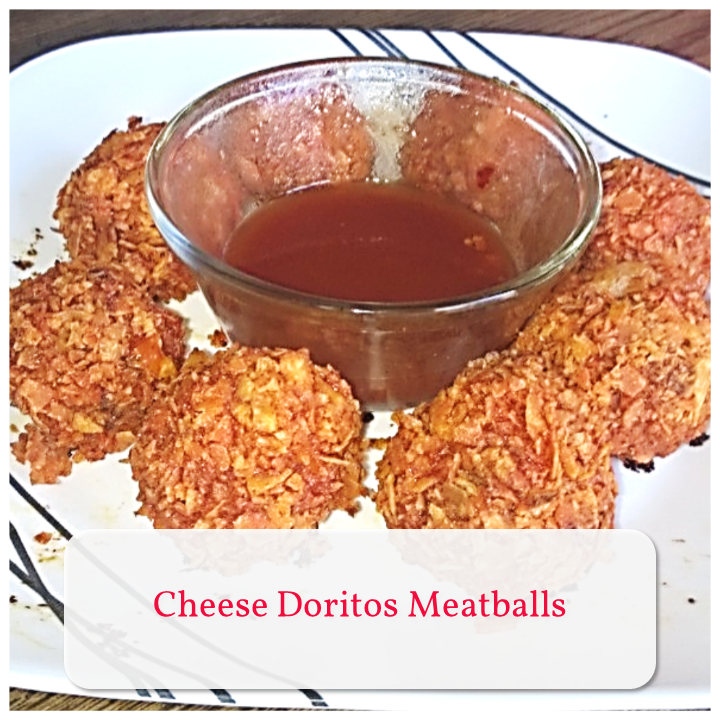 These would be the perfect appetizer to make on game night. They look delicious. Hubby is going to love these. Great idea. Yum! These sound great. Perfect party food! Pinning! What a delicious and unique appetizer idea! Who would have thought!! Great little appetizer! !